Biography: Chief Justice McLachlin spent her formative years in Pincher Creek, Alberta and was educated at the University of Alberta, where she received a B.A. (Honours) in Philosophy in 1965. She pursued her studies at the University of Alberta and, in 1968, received both an M.A. in Philosophy and an LL.B. She was called to the Alberta Bar in 1969 and to the British Columbia Bar in 1971 and practised law in Alberta and British Columbia. Commencing in 1974, she taught for seven years in the Faculty of Law at the University of British Columbia as a tenured Associate Professor. Her judicial career began in April 1981 when she was appointed to the Vancouver County Court. In September 1981, she was appointed to the Supreme Court of British Columbia. She was elevated to the British Columbia Court of Appeal in December of 1985 and was appointed Chief Justice of the Supreme Court of British Columbia in September 1988. Seven months later, in April 1989, she was sworn in as a Justice of the Supreme Court of Canada. On January 7, 2000, she was appointed Chief Justice of Canada. She is the first woman in Canada to hold this position. 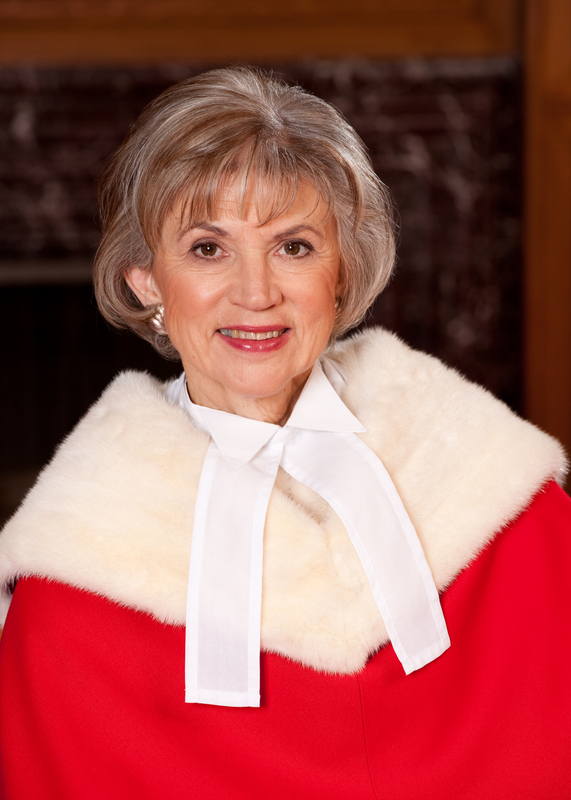 In addition to her judicial duties at the Supreme Court, the Chief Justice chairs the Canadian Judicial Council, the Advisory Council of the Order of Canada and the Board of Governors of the National Judicial Institute. The Chief Justice is the author of numerous articles and publications. This award is given by the University of Edinburgh in recognition of her significant contribution in the independence debate and justice issues. Unless explicitly stated otherwise, all material is copyright © The University of Edinburgh 2017.